A week ago, as I was ready to embark on a 5 day ladies road trip, I was pleasantly surprised while I was checking my e-mail before my journey. There was a lovely message on my blog from Elaine of California Living. She had chosen my blog as one of her ten to receive "The Stylish Blogger Award ". The protocol to accepting this award is to first, thank the person who gave it to you and link to her blog. So to Elaine, a great big thank you for thinking my blog deserved this recognition and for putting me in the category with such talented people. I also have to thank Allison of French Whisk for also choosing me for this award. I am honored! Thank you Allison, you rock! The second thing I must do is share 7 things about myself. I collect cookbooks, I own more than 600! I am most comfortable in the kitchen but I think that is a given! I love spending time with my grandchildren…they are my joy! I love to challenge myself with new things. I would love to try making strudel dough this year! I could, and have spent hours browsing flea markets and antique stores. My latest passion is baking artisan bread. I love to bake bread! I have been known to over react in the presence of spiders…even tiny ones! The third thing is to pick 10 bloggers I think are really special and deserve this award and link to their blogs. This is the most fun. 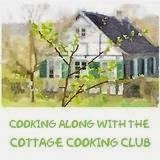 The blogs I picked are blogs I enjoy browsing, to see what's cooking or baking in their kitchens. Congratulations to all! Fourth you have to notify all bloggers of their award by leaving a message on their blogs. This is very nice of you! It's very nice to meet you and your blog, too. Mary from Popsicles and Sandy Feet is a new friend of mine, so I'm happy to be in her company! Thank you so much..I love this award and feel so honored to be chosen! I love your blog too and am glad that you like mine!! SO cool our daughters share the same birthday!! Hi Kathy-Didn't think to remind you, that I also have an award for you, but I wanted to wait till Friday, when you do your posting. Thank you so much for the Stylish award...didn't get one this year yet, and I think I owe one or two, from last year to pay forward, but this time I won't forget, and pay it forward linking you! So, stop by my blog again, and go back a couple posts to check your name on the list. I have so many bloggers on the list, and haven't had a chance to let them know! Thank you, thank you, you really made me very happy! To my fellow FFWD club member - Thank you so much for including me in your list of recipients. I am flattered to be in such great company! I look forward to reading about your bread baking adventures as I am committed to tackling yeast breads in 2011.
hi, kathy. lovely to "meet" you. 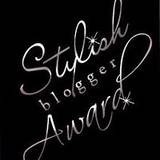 i am honored you selected my blog for a stylish blogger award. thank you for the kind workds. you are fabulous! looking forward to staying in touch via french fridays. Hello Kathy and thanks so much for bestowing this award on me. I ma honored to receive it.